You have most likely met a few charismatic people in your professional dealings. Remember how deeply you were engaged in the conversation with them? This was due to their Emotional Intelligence, or EQ. They knew exactly how to connect with you and keep you listening. A high level of EQ is usually a core factor when it comes to business growth and success. From Richard Branson to Jeff Bezos, most successful entrepreneurs have some exponential amount of EQ to compliment their IQs. But what does emotional intelligence have to do with business success? Well, quite a lot actually. According to research by TalentSmart, 90 percent of top performers have a high EQ. Do you have some degree of emotional intelligence? Most of us do because EQ is an essential element needed for effective communication. To hone your EQ to communicate more effectively in business, you’ll need to sharpen your emotional awareness, problem-solving, management, and regulation. What Exactly is Emotional Intelligence (EQ)? Emotional intelligence is alive in each of us, whether we use it for our business endeavors or not. It allows us to navigate social complexities and make key decisions for success. When it comes down to understanding EQ, there are four foundational skills. Each skill can be paired with two primary competencies: Personal Competence and Social Competence. Personal competence is your ability to be more self-aware and manage your skills. These personal intricacies allow you to understand your emotions and manage them effectively, thus influencing your behavior. Self-Awareness: Acknowledging your emotions and understanding them as they happen in real time. Self-Management: Having a flexible approach to your emotions to have a positive behavioral effect. Social competence is your ability to be aware of the emotions of others and manage those emotions to improve a relationship. Essentially it is how you deal with someone else’s personal competence. Social Awareness: How you pick up on and understand what another person is feeling and the behavior they are showing as the result of those feelings. Relationship Management: Combining your emotions with others to make the most out of a relationship in a positive way. 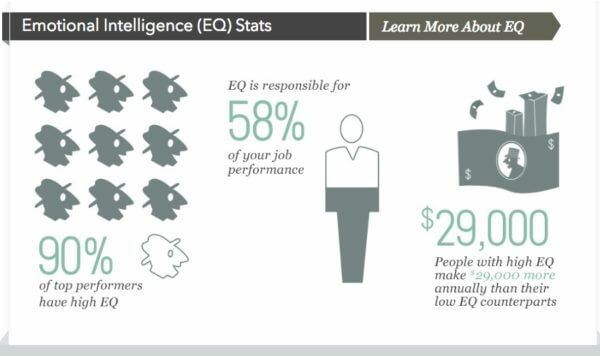 With a little background on emotional intelligence, it is time to put your EQ to the test. Let’s take a deeper look into how you can grow your EQ in five ways. There are a lot of opportunities for negative emotions to arise in business. You deal with a variety of personalities daily, from employees and investors to vendors and clients. Knowing how to react in a more positive way will raise your EQ immensely. This means you will need to downsize your negative emotions by being aware of them and managing them in a positive way. Two ways to grow your EQ by downsizing negativity are . . .
Avoid negative personalization in your business. There could be moments when you feel the need to jump on someone’s actions in a negative way. However, this is not the way to grow your business EQ. For instance, if a potential client has not responded to an email proposal you had both agreed on in a call, don’t jump to negative conclusions or take it personally. Instead, try to see the situation objectively. Maybe that potential client is dealing with personal issues, is on vacation, or just plain old busy. Don’t fear rejection. Rejection is a big part of business. If all our ideas we were met with acceptance and success, there would be a whole lot more billionaires. One way to combat your fear of rejection is to develop more than one plan for the range of outcomes. This allows you to have more than one strategy to keep your business moving forward in a powerful way. For example, instead of obsessing over the one pitch you had to a big client, think of your next three big pitches to have more options if one doesn’t sign on the dotted line. Am I absolutely sure that it’s true? How do I feel when I think the thought? Who would I be without the thought? Once you have addressed these four questions, you can begin to process and manage your stress better. This is an indicator of growth when it comes to emotional intelligence. Entrepreneurs and business owners are well acquainted with stress. However, how we handle that stress sets the tone for our future success. This is a key aspect of growing your EQ to grow your business. Staying composed, confident, and focused during any stressful moment is the hallmark of any great leader and business professional. It may be challenging to keep it together at times, but the following tips for exceptional emotional intelligence will help. Learn how to cool down, literally. When you can feel the stress and anxiety monkey crawling up your back, it is time to take a break and cool off. In fact, by actually lowering your body temperature you can reduce stress, according to an Italian Study. You should also avoid caffeine and other stimulants if you are having a stressful day at the office. Do a few sets of air squats or a few yoga poses. This may sound silly, but aerobic exercise has been shown to lower stress and anxiety. If you have a big conference call with a client, or about to meet with investors, exercise will help vitality and confidence return to a normal physical and mental state. It is always best to address stress as fast as you can. You want to be assertive, rather than reactionary. This emphasizes our next EQ exercise, being proactive. 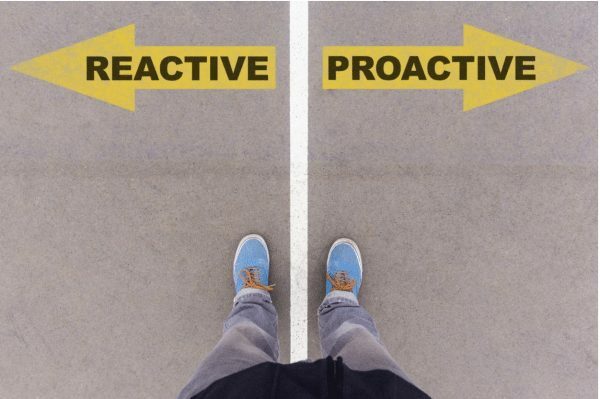 Staying proactive and not reactive is a great way to increase your EQ and keep your personal competency positive regardless of whom you do business with. Don’t let someone else’s negativity derail your workflow or provoke a reaction that you will regret later. Be proactive using these EQ tips . . .
Count to ten before reacting. You probably deal with a number of vendors and clients on a daily basis, and not all of them are rays of sunshine. Before reacting to a negative comment from a client or a disgruntled vendor, count to ten. By the time you reach ten, you may find that your reactionary response wouldn’t have been met with pleasantries. In the world of online reviews and comments, you definitely don’t want to say or do something that can ruin you or your business’ reputation. Walk a mile in someone else’s shoes. Another way to boost your emotional intelligence in business is to understand the situation from another’s perspective. For example, if a client is unhappy with a service you provided, think about how you would react in the same situation. You can also ask yourself how you and your business can grow from that situation and make it a teaching moment. That ensures that regardless of what happened, it is used proactively. There is an appendix to this, however, since no one should be disrespected. In business, you may get quite an earful from employees and clients from time to time, but you should always strive to take the high road. Business has its ups and downs, and most business owners and entrepreneurs know exactly what failure feels like to some degree. However, it is how you bounce back from failure and adversity that will grow your EQ and your business. There is a lot to take away from Jordan’s quote, whether you are a basketball fan or not. The aspects of any failure can be turned into positives, and even though you miss a few shots here and there, it is that one that could catapult your business to success. Four core questions to ask in the face of failure are . . .
What is the real lesson? How can I learn and grow from this? What is the most important thing presently, and in the future? 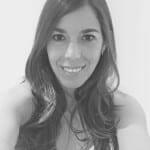 How can I think outside the box for a better solution? If you approach your business failures in the above way, you may just land your next big idea. After all, a deeper perspective on any moment can only net positive results. Sharing how we feel when things are good is easy. It is the moments in business when we need to be assertive when something adverse happens that is far more challenging. Knowing how to be assertive and express how you feel will grow your EQ and your business in a variety of ways. 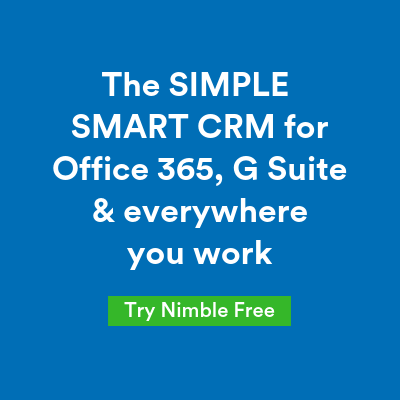 For instance, you want to be able to say no or explain missed expectations that will keep clients, vendors, and employees positive and still excited to work or collaborate with you and your business. To keep your assertive comments and insight positive format your emotions like . . .
State the action of the other party. State the situation that caused the emotion. It could look like . . .
Once you state your emotions in a clear and assertive way, you can then follow it up with reasons and solutions. It is also important to keep “you” and judgment statements like, “you should” or “you need to” in order to keep the assertive comment positive and unthreatening. Using the above ways to grow your emotional intelligence will definitely increase your professional growth, and help your business grow as well. Implementing these EQ exercises may be challenging at first, but once you practice them for a while, they simply become natural. 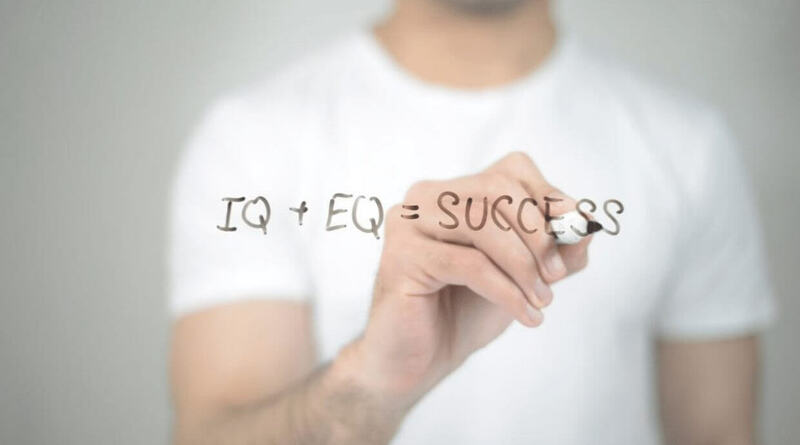 How will a higher EQ help your business? Next Are You Making These 5 Attribution Modeling Mistakes?